A team of students at Betsey B. Winslow Elementary School has earned praise for its community service activities, including a recent effort to organize donations for the homeless in New Bedford. Members of Grace Church distributed the PBIS team’s care packages to the homeless at their Sunday morning community breakfast on April 14. “The kindness ambassadors spend many hours after school planning opportunities to help others and organizing monthly pep rallies to foster high student morale,” she continued. “Ms. 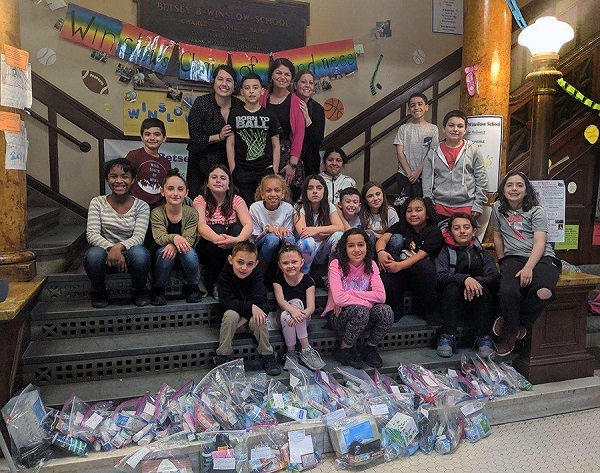 Nightingale, the Winslow PBIS team, and the kindness ambassadors have taken the initiative to another level by forming many partnerships with community organizations. I am extremely proud of our ambassadors and grateful to the Grace Church for their help with this project,” said Principal Ponte. At 2am on Friday, New Bedford police officers were investigating reports of a person driving drunk. According to a witness on the scene, the driver hit a light post on Cottage Street fled on foot. Police arrested her a short time later. A 25-year old Tiffany Rose Demoura of Manchester, New Hampshire was arrested is being charged with operating under the influence of alcohol and leaving the scene of an accident. Marion Police Chief John Garcia reports that after receiving multiple reports of a suspicious person walking in a playground at the Sippican Elementary School Friday morning, the person was determined by police to be a 12-year-old boy carrying a toy gun. At approximately 11:05 a.m. Friday, Marion Police received a call reporting that a male party, wearing a trench coat and fur hat, was carrying what appeared to be a rifle at the playground of the Sippican School, located at 16 Spring St. Parents and children were present at the playground at the time. It should be noted that Marion Public Schools are currently on April vacation break this week. When officers arrived, the individual was no longer at the playground. Officers searched the area, with the assistance of members of the Marion Harbormaster’s Office, but were unable to locate a person matching the description given. While officers were searching the area, a woman walked into the Marion Police station to report the incident and gave police images she took on her cell phone of the individual holding what looked like a firearm. Through the subsequent investigation, officers were able to quickly identify the person as a 12-year-old boy. Officers went to the boy’s house where they located him and confirmed that the gun was a toy that did not have an orange tip. Detective Scott Smith spoke with the juvenile’s mother and advised her of the reports the department had received. Through the investigation, it was determined that there was no threat to public safety, and no crime had been committed. A Massachusetts State Trooper was involved in a shooting incident earlier this morning on Colonel Bell Drive in Brockton. Preliminary information suggests that just prior to 9 a.m., during a confrontation with a male suspect, the Trooper discharged his weapon. The male suffered a lower body gunshot injury that is believed to be non-life threatening. The male has been transported to an area hospital. The Trooper is also being evaluated. The shooting is under investigation by State Police Detectives, Crime Scene Services, and a specialized MSP team of senior investigators that responds to Trooper-involved shootings. Assists the Director of Tourism & Marketing to drive the coordination, planning, and execution of the tourism strategy. Manages the City’s marketing efforts and serve as liaison to local partner organization. Assist the Tourism Director in any needs including: budgeting, payroll, invoice processing, reconciliations and other administrative duties. Assist visitors with information about the City of New Bedford either via phone, email, and social media or at events. Ability to analyze visitor data, experience with data collection and graphs. Experience with newsletter design, word press, Google analytics, Facebook business manager, Instagram, Twitter, YouTube and Flickr. Good computer skills, familiar with Microsoft Office, InDesign and/or Adobe Creative cloud. Bachelor’s Degree in Marketing, Business, Hospitality or a related discipline. Occasional weekends and evenings may be necessary. Mandatory CORI (Criminal Offender Record Investigation) background check per City Council Ordinance effective May 14, 2013. Meet John Barboza, 58-year-old Hypnotist with Life Enriching Hypnosis. When John was a child, he was always interested in magic, watching magicians on TV and even learning magic tricks from books he would get from the library. As he got older, the interest in magic was always there but he focused on other things. 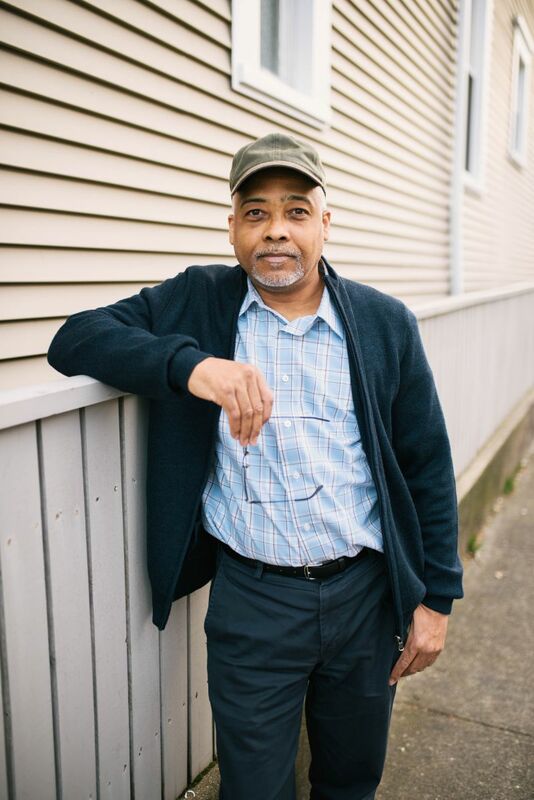 John worked several jobs throughout his twenties and at the age of 28, he decided to go back to college, eventually graduating from Umass Dartmouth with a degree in Criminal Justice and Sociology. This put him on a career path of corrections, working at the Massachusetts Department of Corrections for 21 years before retiring. In 2009, after watching the movie the 4th Kind, his interest in hypnosis resurfaced, which is what the protagonist in the movie uses to help those who were convinced they were abducted by aliens. He started buying and reading books on the subject while practicing hypnotizing others. John has since been certified by the National Guild of Hypnotists and meets with clients regularly, helping them overcome all sorts of ailments from habitual behaviors to stress. John also offers free hypnosis sessionS to quit smoking with New Bedford Wellness every 3rd Sunday at the Boys and Girls Club. New Bedford Police Union President Hank Turgeon published the results of a survey conducted with New Bedford Police Union members that paint a picture of low morale and lack of confidence in City leadership that includes Mayor Jon Mitchell and New Bedford Police Chief Joseph Cordeiro. For example, 216 of the 229 police officers that answered the survey stated they were not happy with the working conditions at the New Bedford Police Department and that if given the chance 178 officers would take a job at another police department. The full letter and survey results can be read here. Mayor Jon Mitchell and Police Chief Joseph Cordeiro believe the letter is a way to gain an advantage during negotiations and question the validity of the survey. “This information is not a revelation. In fact, we recently had a strategic plan prepared by an independent professional that identified morale as having been low for the past 20 plus years. This same finding was reported in a 1996 department-wide study done by Bill Bratton. Having previously been a member of this union for nearly 30 years, it is far from the first time I have heard that “morale is at an all-time low”. I care deeply for every member of our department, but I care deeply about the citizens of our City as well. As the Chief, you have to make difficult decisions that are not always popular, and holding people accountable is not always well accepted. I am proud of our community policing and modern century relationship building initiatives like High Five Friday as identified by President Obama’s Task Force on 21st Century Policing. I am equally proud of all of our accomplishments as a department. I will continue to advocate for a police department that implements consistent strategies developed in partnership with the community rather than one that implements tactics developed individually and imposed inconsistently upon it. I am disappointed that the Union has chosen this avenue to address their alleged concerns, but we are in the midst of negotiations which, I am sure, plays a role in it. Recently the City hired a private company, to conduct an “independent study” of our department and in that extensive study lasting over a year they said that there were many failings in this department from lack of training, a broken fleet of vehicles and deteriorating buildings. The study talked about the Chief’s lack of loyalty from top ranking Officers, not that they could put their finger on specific incidents where any ranking member refused to follow orders or do their jobs only that they were protected by our Union. The study briefly discussed a “systemic” low morale issue lasting 20 years. This Union agreed with several of the failings and our Executive Board has raised all of the failings to our current administration in the past. What this Union strongly disagreed with was the idea, the insinuation, that our Captains should not be protected by our Union and the provoking language that they were somehow undermining this Chief or not performing their duties. Our Captains have showed their devotion to their personal growth and this department through their career paths and desire to achieve as much educational knowledge as they could. They prove themselves to this Chief in weekly staff meetings whereas under past Chiefs these meetings might have been held once a month if not less. Our Captains all expressed through emails and verbal conversations that they demand to be in and protected by the Union that they have belonged to since the beginning of their careers, just like this Chief had. The other issue that we strongly disagreed with was the “systemic” morale issue. We as the work force of this department, with the civilian staff, not only expressed our concern of low morale under this current Chief to the company that conducted the “independent study”, but we’ve told the Mayor directly. So at last month’s Union meeting the Executive Board discussed options with members in attendance and a survey of the body was agreed to and voted on. Several questions and variations of those questions were discussed and four specific questions were put into a survey and distributed to every member of the New Bedford Police Union over the past two weeks. At today’s Executive Board Meeting we tallied the results of the recent survey that the Union conducted. The following are the questions and tallied results. Keep in mind some members answered all four questions, some only answered some of the questions and only six members chose not to participate. 2. Are you happy with the working conditions of this department? 3. Do you feel that this department’s morale is lower under this administration than it has been under past administrations? 4. If you had an opportunity to leave this police department and be employed by another police department would you go? It’s unfortunate that the New Bedford Police Union was forced to conduct such a survey as this, but this is the only way to get the truth to this Chief, the Mayor and most importantly the citizens of our great City. This “independent study” disregarded our position in an effort to paint the Chief in a positive light, which is typical of the Mayor’s stance with public information released to the media. The hard work of the men and women of the New Bedford Police Union are not being reported because of the job we do. Our main priority is to keep our City safe, that involves responding to and investigating crimes. This Mayor wants to hide those crimes from the public’s eye and only paint the City as a picturesque place to visit with no crime at all. We can appreciate his efforts for tourism purposes, but when you hide the crime you lure our citizens and tourist into a false sense of security and they let their guard down, they leave doors unlocked, they don’t pay attention to their surroundings, they make themselves potential victims which in turn makes our job all that much harder and the criminals illegal activity all that much easier. We, the New Bedford Police Union, will continue to protect the City of New Bedford from those that prey on the weak and innocent. We will continue to be strong supporters and organizers of community events and going forward we will inform the public on a regular basis of our hard work and any failings of this administration. At 12:45 pm on Wednesday, a person called New Bedford police and reported that a man exposed himself at the intersection of Elm and County streets in front of the McDonalds. Police officers responded and located a man near McDonald’s on County St. and placed him under arrest. 28-year old Lex Luger Depina-Cabral is being charged with lewd, wanton and lascivious conduct. The City of New Bedford’s Community Preservation Committee (CPC) has selected a total of 17 projects for funding out of the 24 proposals submitted under their second annual selection process. Projects in all six wards of New Bedford were selected for FY 2019 funding, in three categories that Community Preservation Act funds can be applied to: historic preservation, recreation/open space, and community housing. The projects approved for FY 19 total $1,547,875 in community preservation funding; the projects were selected by the Community Preservation Committee and will go before the City Council for appropriation. The Community Preservation Act (CPA) is a Massachusetts state law (MGL Ch. 44B) designed to help Massachusetts towns and cities plan for sustainable growth and provide funds to achieve their community preservation goals. CPA allows participating cities and towns to adopt a real estate tax surcharge of up to 3% to raise funds and create a local dedicated fund for preserving open space and historic resources and expanding community housing and outdoor recreational activities. The CPA stipulates that decisions regarding the allocation of CPA funds in cities and towns that adopt the initiative are to be made by a local community preservation committee (CPC) whose task is to receive and review applications and to make recommendations to the City Council, which in turn makes the final allocations. In addition to the community tax surcharge, the state provides matching funds that are not less than 5% and not more than 100% of the funds raised by the community. The actual percentage varies from year-to-year dependent on the health of the state’s Community Preservation Trust Fund, which is funded by a surcharge on Registry of Deeds transactions. The first $100,000 of taxable value of residential and commercial properties. Residential property owned and occupied by any person who qualifies for low-income housing or low to moderate income senior housing. For further information on the CPA program and the FY19 projects, visit: http://www.newbedford-ma.gov/planning/community-preservation/.